Your front garden says a lot about your home. And yet, it’s probably the most neglected aspect of your house design. It’s worth keeping in mind that the garden to the front of your house is the first (and in many cases, only) thing that people see from the outside. Passers-by don’t get to stand and glance through your window. They just see how your front garden looks. That’s why you should make sure that it reflects the rest of your home. That should be your primary concern when planning to landscape your front garden. It’s all about trying to make your property look its best. Your house is made up of a bunch of different components, and all of them come together to create the aura of your home. It started from the front. Keep that in mind. 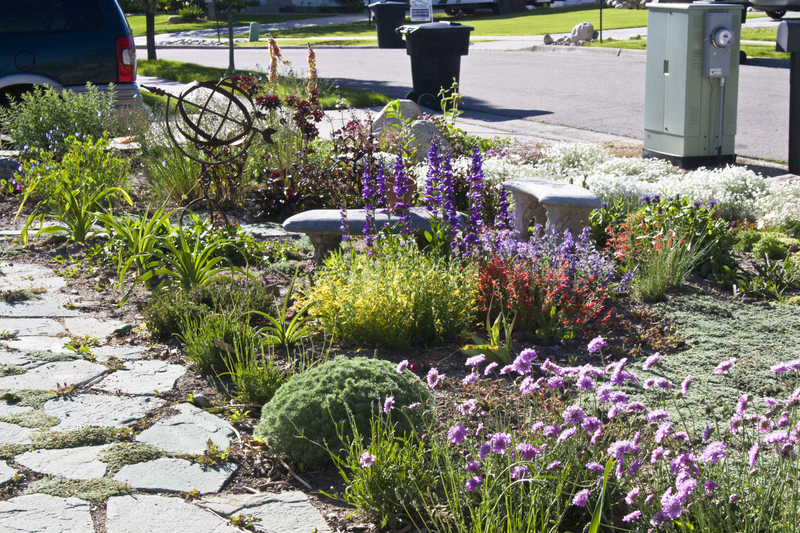 So, what do you need to consider when landscaping your front garden? Believe it or not, just because you own the land doesn’t mean you get to do whatever you want this it. You’ll still need to apply for planning permission. Not only that, but there are other factors you’ll need to take into account. Very rarely will you be allowed to work on a driveway. If there are electrical cables above the perimeter of your home, you’ll have to be careful about planting trees. Take a look at government guidelines before you set your heart on any design. If you live in a terraced house with gardens to the front, you probably want to work out a way to turn yours into your territory. While some people prefer to combine front gardens with their neighbours so that they appear bigger, it’s not always the case. It’s better to have your area clearly mapped out as to avoid arguments at a later date as to who is responsible for what. Believe me, these fallouts can happen very easily, especially when the weather turns bad. You can buy garden fencing supplies from George Hill to put a fence around your quadrant. One of the biggest debates you’ll have with yourself is whether to opt for grass of paving stones. Both of them have their pros and cons. For example, grass probably looks better, but it’ll take a lot of maintenance, especially in the summer. If you’re a busy person, you may have to look at hiring a garden maintenance specialist, and that costs more money. Paving stones can be equally expensive, and can require some maintenance too. Figure out your preferences before you start work. Remember, you may not be able to pull off the look that you have your heart set on. Don’t commit to anything until you know it’s feasible to avoid disappointment. It may be difficult for you to install a garden path, for example, if your front garden is on a slope. Start with the basics, such as flower beds and shrubbery. You can always go back at a later date to change things up if you grow tired of the design.